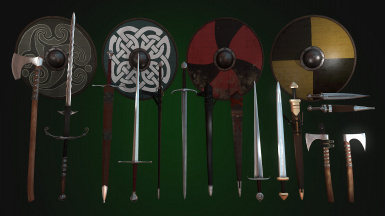 This mod adds in summary 29 new weapons to the game, originally made by Standalone09. English, German and Spanish version available. 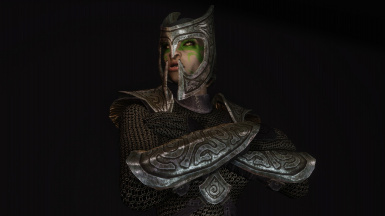 This mod adds a new armor from the blacksmith Ghorza gra-Bagol. 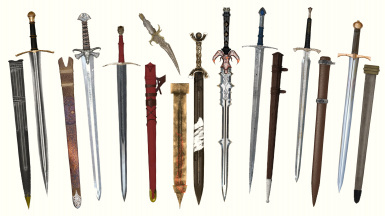 A matching weapon set is optional available. 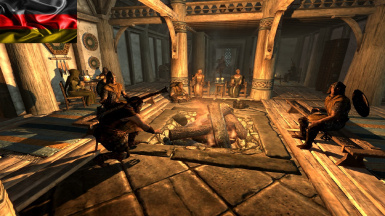 Die deutsche Übersetzung der Mod "EEKs Whiterun Interiors" by EvilEyedKyo. Die originale Mod wird weiterhin benötigt. 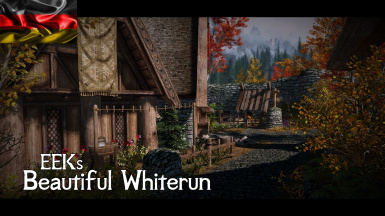 Die deutsche Übersetzung der Mod "EEKs Beautiful Whiterun" by EvilEyedKyo. Die originale Mod wird weiterhin benötigt. 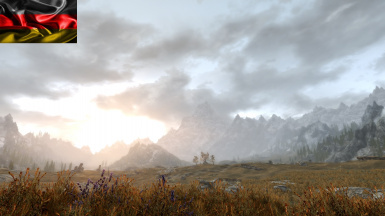 Die deutsche Übersetzung der Mod "Obsidian Weathers and Seasons" by Dr Mega Arindel. Die originale Mod wird weiterhin benötigt. 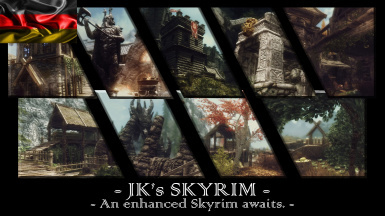 Die deutsche Übersetzung der Mod "JK's Skyrim" by Jkrojmal and Teabag86. Die originale Mod wird weiterhin benötigt. 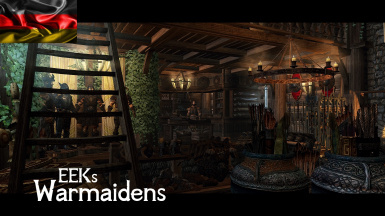 Die deutsche Übersetzung der Mod "More Tavern Idles" by RJinthematrix and Shocklizard. Die originale Mod wird weiterhin benötigt. 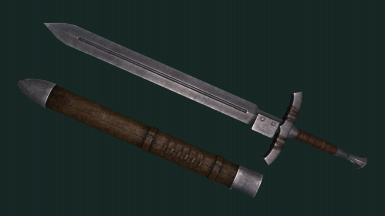 This mod adds the The Loners Sword to the game, originally made by Syncing. English, German and Spanish version available. 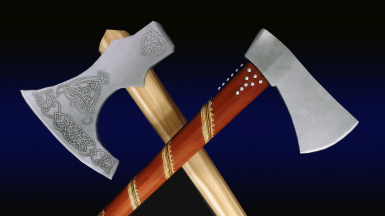 This mod adds in summary 43 new axes to the game, originally made by Garrus the Lone Wolf. English and German version available. 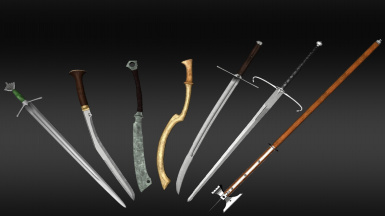 This is a pack of 7 unique historicaly accurate weapons from Skallagrim's collection, originally made by Garrus the Lone Wolf. English and German version available. 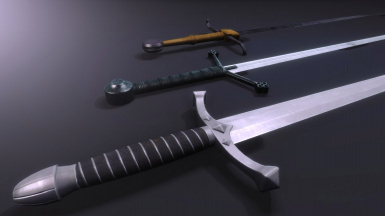 This Mod adds Albion Swords to the game, originally made by OutbreakDV, Uschtenheim and Fowburner. English, German and Spanish version available. 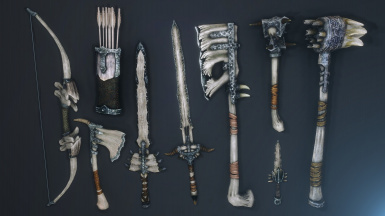 This mods adds a full set of dragonbone weapons, originally made by ktacreations / theycallmecheese. English, German and Spanish version available. 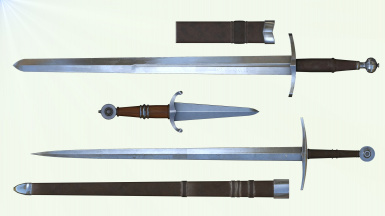 This pack includes historically accurate and lore friendly armors and weapons, originally made by Drunkzealot, Croc, Moraelin, Urwy, xXKevinSaerXx, Matherthebec and redxavier. English, German and Spanish version available. 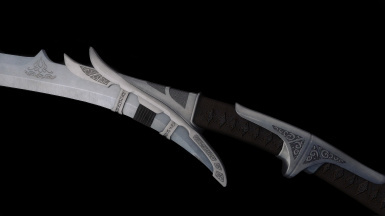 This Mod adds the Illr La Dagger to the game, originally made by Drunkzealot. English, German and Spanish version available. 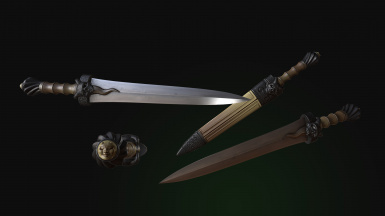 This mod adds the Sedethul Sword to the game, originally made by InBleedingRapture. 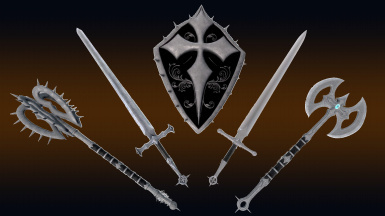 This mod adds Dark Crusader Weapons to the game, originally made by Angilla. English and German version available. 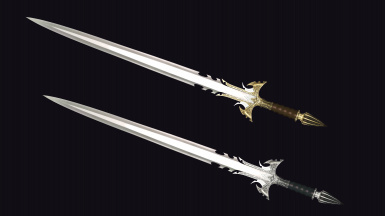 This mod adds the Mithrodin Sword to the game, originally made by BlutKult. English and German version available. 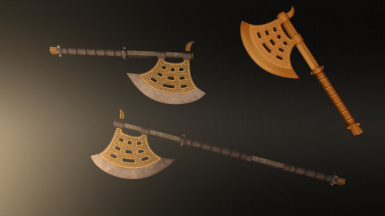 This mod adds three types of Dwarven Axes to the game, originally made by BlutKult. English and German version available. 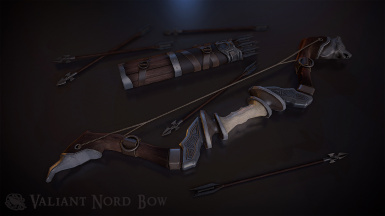 This mod adds a new custom bow and arrows to the game, originally made by Corvalho. English, German and Spanish version available.